I finally feel like we are getting this train back to moving! This week we dive head first into part one of a two-part episode on Saint John of the Cross and The Dark Night! In this episode we discuss the first Dark night known as the Dark Night of the Senses! Which is an experienced as a time in which we feel as if God has withdrawn from us. IN the Dark Night of the Senses we are invited into an even greater intimacy with the divine! Pentecost | Tongues of Fire | Smith Wigglesworth and where the Hell I've been! We are back after an incredibly long and unexpected hiatus! Yesterday was Pentecost so what better time than now to get Pentecostal!? In this episode we are talking the bigness of God, believing for the impossible, and the problematic yet intriguing life of Smith Wigglesworth! This is the one-year anniversary of the relaunch of the show! We are joined by Professor and Author Matthew Rothaus Moser as we learn about Dante, His exile from Florence, and his pilgrimage through the hell, and purgatory! What better way to kick off our Lenten series by exploring the spirituality of Ash Wednesday and the Lenten season through the lens of Dante's Divine Comedy!? One last brief reflection on the season after The Epiphany and a ton of information on what to expect as we make our pilgrimage through the Lenten season toward the events of passion week. In the final episode in our Epiphany mini series we dive into the glory of the Transfiguration of Jesus on Mt. Tabor, butterflies, and becoming our true selves! This is the last episode in the series as we prepare for Ash Wednesday in a little over two weeks and the oncoming Lenten season! 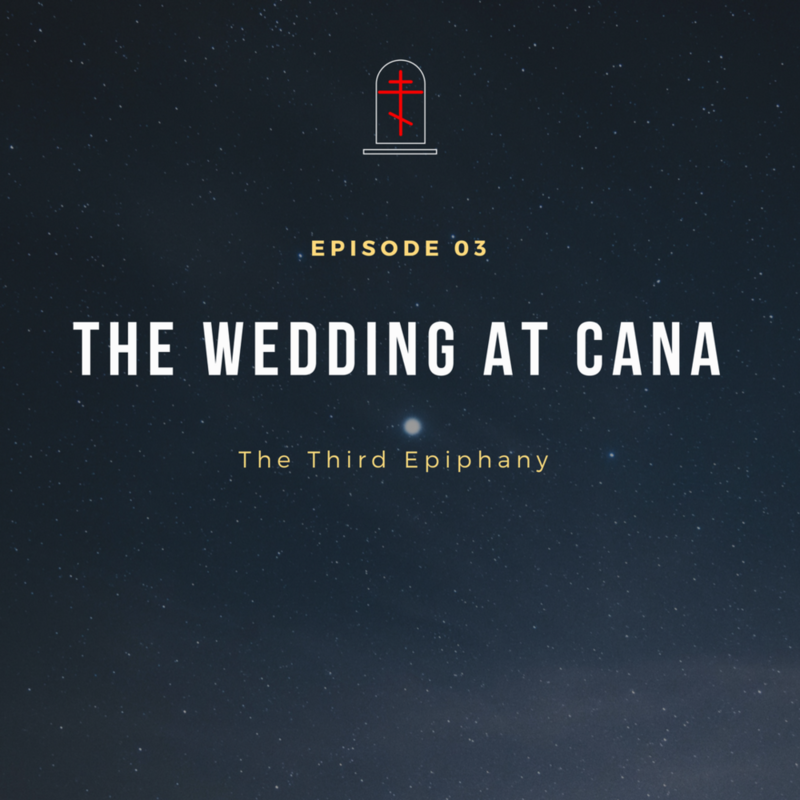 After missing a week due to the snowocalypse of 2018 we are back for the third episode in our Epiphany season talking about the third manifestation of Christ! In this episode, we talk about Jesus' first miracle, new wine in old bottles, and the challenge to abandon a cracker and grape juice Christianity. The first Sunday after the feast of the Epiphany is the day we remember the baptism of Jesus and the importance of this great mystery. In this episode, I talk about how the baptism of Jesus is the beginning of the Jesus story, what we can learn from the Gregory of Nyssa about this special day in the life of the church, and why we so desperately need to remember our baptisms. A great light has shown in the darkness. The stars that lead our steps to God are as numerous as the sky! Today is the feast of the Epiphany and in this episode, we talk about what this day means, the significance of the journey of the Magi, and hear from Pope Leo the Great on the importance of this special day in the life of the Church. Today is the fourth, and final, Sunday of our pilgrimage through the Advent season! In this episode, we turn our attention to the theme of Love as we prepare for the coming of God. Teilhard held a dream that dared to believe that the future was more radiant than all of our pasts, a future of a world aflame with the love of God. Music provided by Alex Sugg. Today is the third Sunday of our pilgrimage through the Advent season! In this episode, we reflect on a peace that exists beyond the mere absence of conflict of trouble and how Advent invites us into learning to trust in the slow and faithful work of God. Today is the second Sunday in the Advent season and we are turning our focus to the theme of Joy. In this episode I talk about the infallible presence of God and what it means to allow joy to be conceived in our heart through surrender. God is Coming! 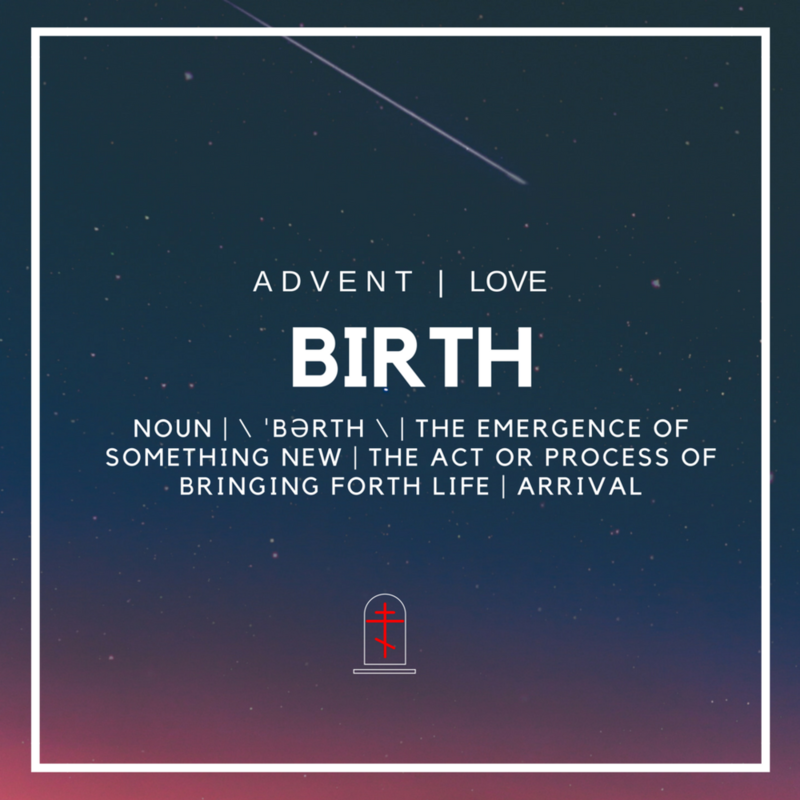 Today we begin our journey through the season of Advent with our first episode on the call to reclaim an expectant hope that says the world will not be left broken. A hope that challenges us to abandon our pessimistic view that the world is headed to hell in a handbasket in favor of a view that dares to believe that there is something afoot in the universe, something that looks like gestation and birth. Subscribe to Signposts! and get the Advent Devotional for Free! Advent will be in full swing this coming Sunday (12/3) and I have been working hard to make the next season of the podcast the best that it can be! In this episode, you will get a brief rundown of what to expect during the special Advent series of the podcast, how to get our Advent devotional for free, and how to join our digital community called Wild Paths on facebook! We have finally arrived at the season finale of our (Not So) Ordinary Time series. This week I am joined by the Rev. Wil Gafney, Hebrew Bible Scholar, Episcopal Priest, and author, to talk about one of her latest books Womanist Midrash: A reintroduction to the Women of the Torah and the Throne. In this episode, we explore the lives of several women from the Hebrew Bible through Rev. Will Gafney's Womanist perspective and through the Jewish tradition of Midrash. This book was moving, challenging, and wholly convicting and I can not recommend it enough! PS. NEXT WEEK the Exile Liturgy Advent devotional will be released. You need to sign up for Signposts to get it for free! I have labored for weeks over this devotional. And I can not wait for you to have it in your hands as we kick off the Advent series of the show! With only two episodes left in our (Not So) Ordinary Time series, We are finishing off the season strong! This week we are joined by guest author, scholar, and the face of formerly fundamentalist himself: Benjamin L. Corey! Ben came on the show to talk about his latest book Unafraid (Which comes out today!) and talk about his journey of moving from a fear-based faith toward a faith built upon the simple truth that God is Love(PERIOD!!!) and nothing else! 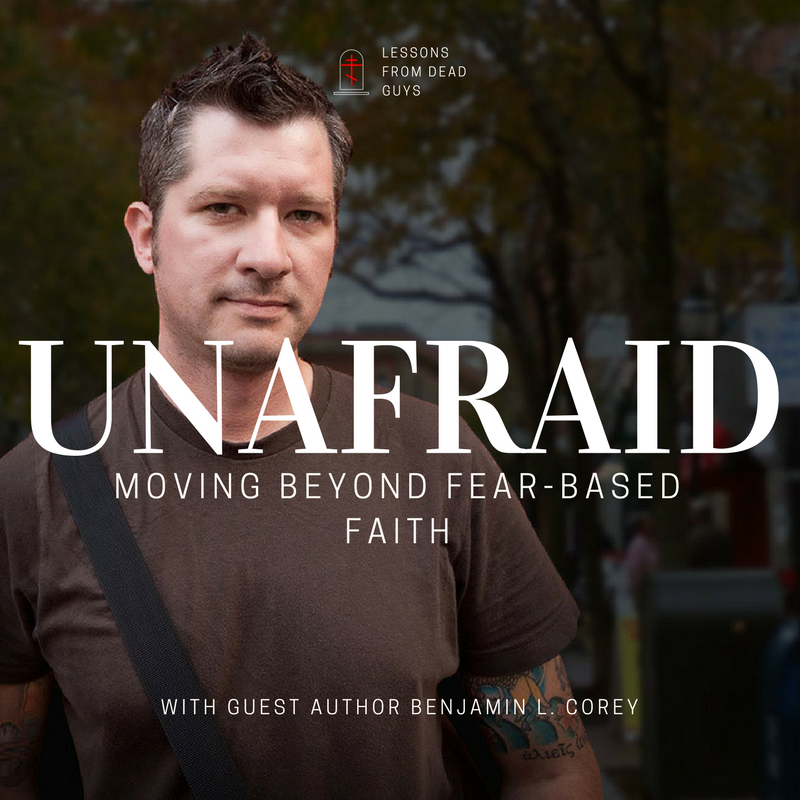 Unafraid: Moving Beyond a Fear-Based Faith Book! This week I am joined with Nazarene Scholar and Author Thomas J Oord! We spend the episode talking about his book The Unocntrolling love of God, Providence, and the question of how much does God really know? Thomas Jay Oord is a theologian, philosopher, and scholar of multi-disciplinary studies. Oord is an award-winning author, and he has written or edited more than twenty books. He is most known for his contributions to research on love, open and relational theology, science and religion, and the implications of freedom and relationships for transformation. The Uncontrolling Love of God FREE Audio Book! This week we are joined by Pastor Brian Zahnd! Pastor of Word of Life Church and Author of Sinners in the Hands of a Loving God! We discuss the death of the Monster God, Armageddon, and Hell! Subscribe to Signposts aka our monthly devotional/newsletter! In this episode, I talk about the new partnership between #LessonsFromDeadGuys and TheologyCorner.net and also read one of my favorite excerpts from Pierre Teilhard de Chardin's Hymn of the Universe as a teaser for what to expect during our Advent series!